There is nothing like the smell of alley way barbeques in the streets of Jamaica. My daughter gave us the most blessed experience of witnessing her wedding on a beautiful beach in Montego Bay. In this experience was a tour to the market place where local artists sell their arts and crafts and if you take a beautiful breath in there is this fragrance of cinnamon, paprika, lime, onions and various other spices such as nutmeg and cayenne lingering over the smell of wood burning and at a glance succulent pieces of chicken roasting on a hot wood fire and locals chatting up a storm, as your mouth waters to taste that raw form of cuisine I call culinary ghetto. This recipe I am sharing with you today was inspired by this experience and also by some friends who are from Jamaica whom I shared dinner with several times. I present to you Jerk Lamb with a side of Caribbean rice and baby broccoli. I did not make it suicide hot but it does have a nice kick to it. Be creative in your presentation: remember what looks good usually tastes good. Which recipe was inspired by a travel that you made? Share it with us, we’d love to hear your stories! Take lamb chops, lime, and extra virgin olive oil. Cut the lime in half and rub both sides of the chops. Do the same with the olive oil. 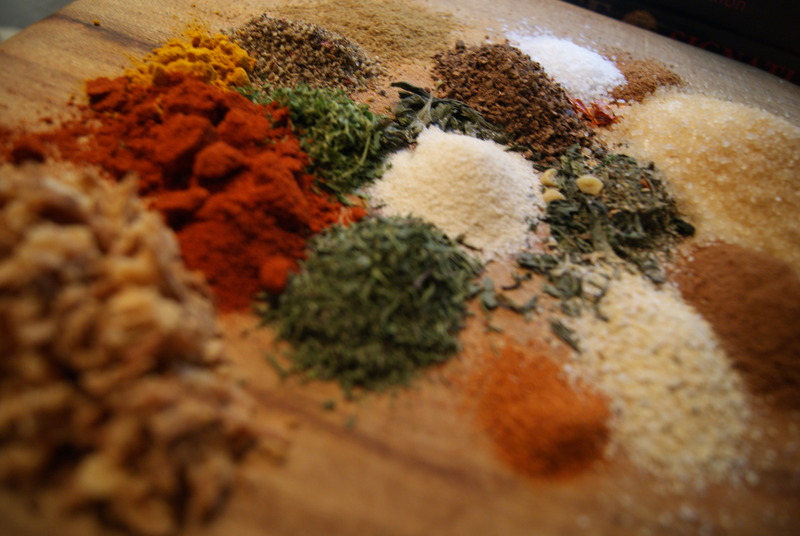 In a mortar and pestle grind all whole spices into a powder and combine all spices in a bowl blending well. 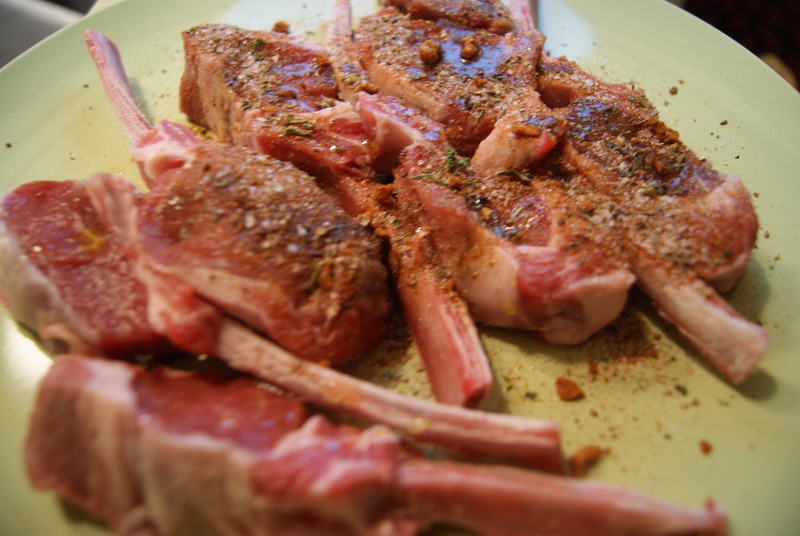 Place lamb chops in a Tupperware and sprinkle with jerk spice mix. Do the same with the other side. Place lid on Tupperware and refrigerate overnight. In a medium saucepan put rice, water, a dash of salt, and a few drops of olive oil. Bring to a boil on high heat, then turn down to a low simmer till all the water dissipates. Take off heat, cover and let stand. Heat up some olive oil in a sauté pan add onions, garlic, ginger, tomatoes, vinegar, salt and pepper to taste, some Jamaican yellow curry, and jalapeno. 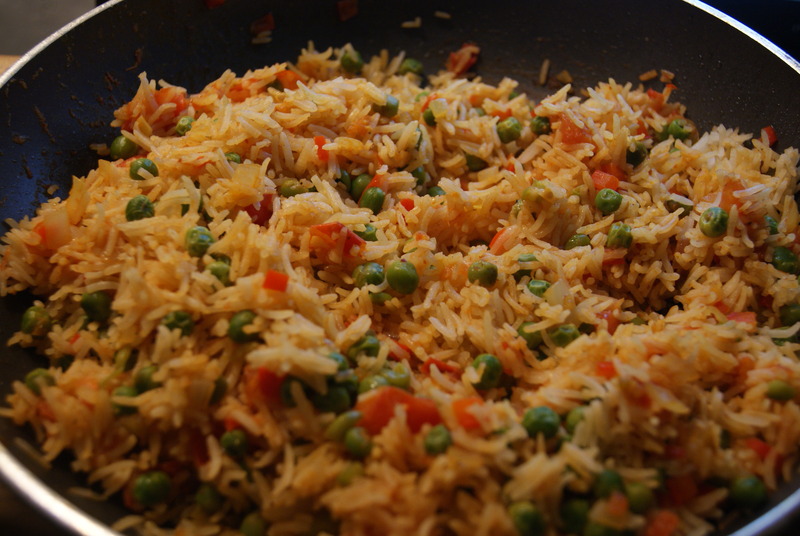 Cook till a bit softened then add rice and toss till well mixed. 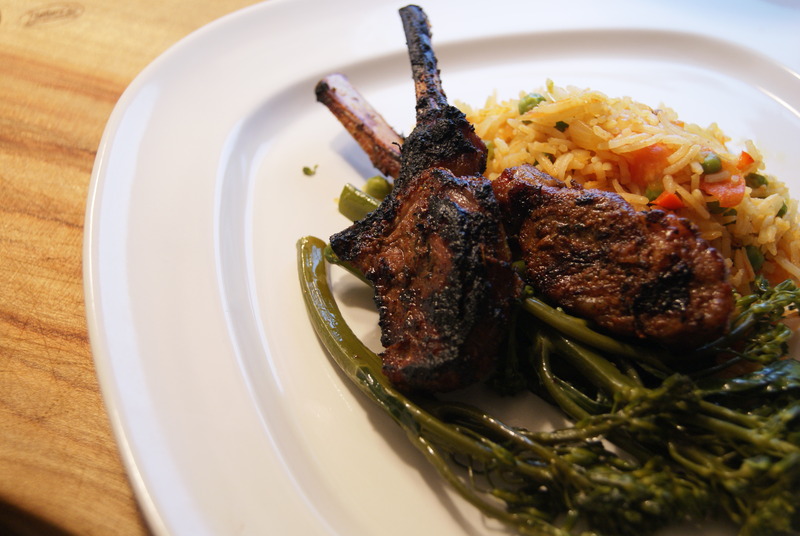 Take lamb chops out of the fridge and bring to room temperature. 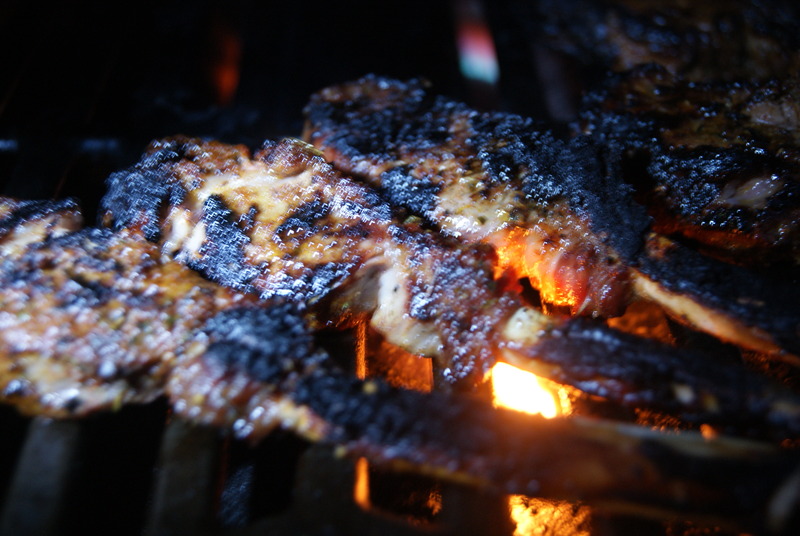 Preheat barbeque to a high heat then place chops on the grill. Cook for 2 minutes then turn to 90°, turn over and repeat the same process then take off heat and let sit for 5 minutes. In a pot bring to a boil 4 cups of water and a dash of salt, add broccolini and boil till tender. 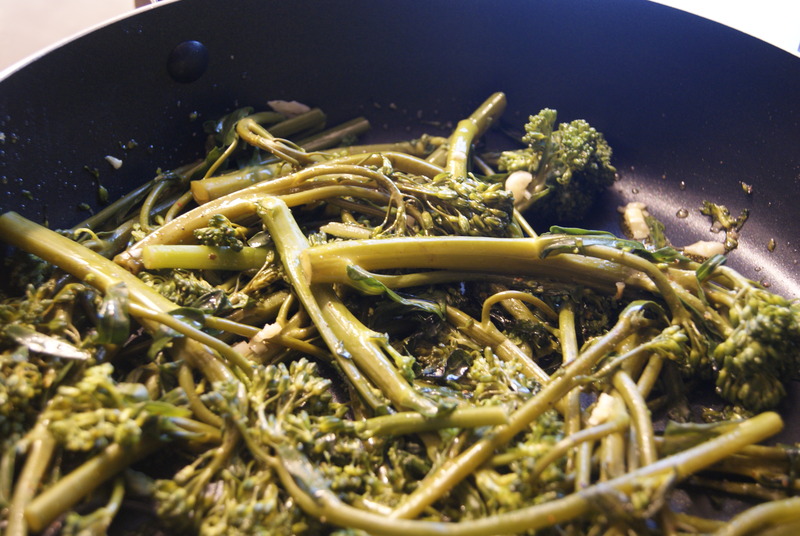 In a medium sauté pan heat up olive oil and minced clove of garlic, add broccolini, stir-fry for about 5 minutes. 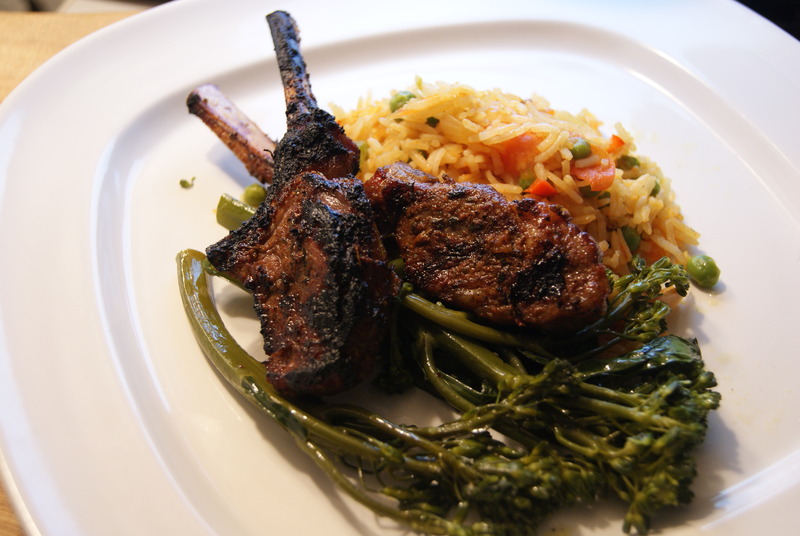 Plate rice, broccolini, and lamb chops and serve.